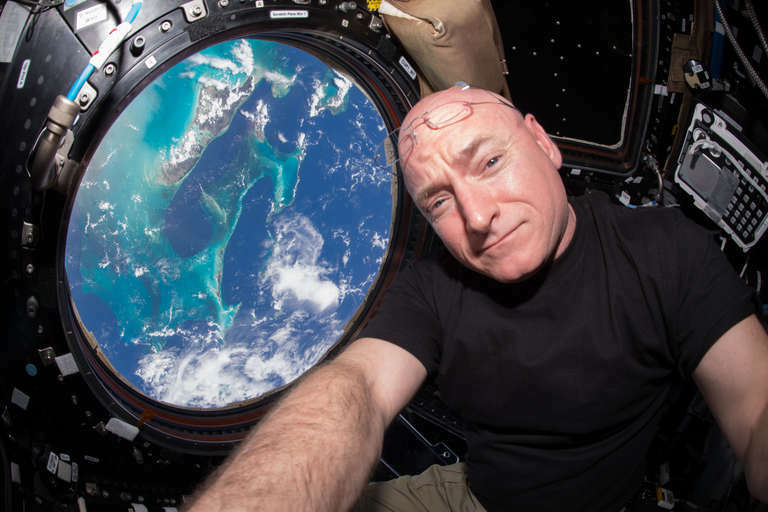 These are the dangers that astronauts face, and here's what NASA is doing about them. A	A	long trip to space involves facing several dangerous elements. Astronauts can be felled by radiation, develop health problems owing to a lack of consistent sleep, or become psychologically damaged by spending a long time in isolation. NASA is working on countermeasures to mitigate the risk that these hazards pose to astronauts, as the agency explained in a recent five-part series on “Houston, We Have A Podcast.” Read on to learn more about the dangers that astronauts face, and what NASA is doing about them. As crews escape the protective envelope of Earth’s magnetic environment, they run across forms of radiation in space that are bad for human health. Just three months working aboard the International Space Station would subject an astronaut to more than triple the maximum recommended dosage of radiation for one year. Long-term radiation exposure is associated with an increased cancer risk in the long term. In the short term, extreme radiation doses can lead to sickness, hair loss, and even death. So NASA has a vested interest in protecting its crews and making sure that they are going to be exposed to as little radiation as possible. NASA has lifetime guidelines for how much radiation it allows individual astronauts to receive. Astronauts are not allowed to receive any more radiation than what would increase their risk of cancer mortality by 3 percent. The space agency uses a formula that depends on an astronaut’s gender and age at the time of the radiation exposure. This standard is a little hard to understand, given that individual astronauts are so distinct. Perhaps an easier metric is one from the European Space Agency, which limits astronauts to 1 Sievert (a unit of radiation exposure) over their careers. The Curiosity rover found that that’s about the same level of radiation that a crew would receive during a single 860-day trip to Mars. In space, even though astronauts are going through demanding tasks, being alone means it’s more difficult to improve because there is little in the environment to correct them. So some of the best astronauts create “challenges” for themselves. Astronaut Shannon Lucid, for example, managed to pack 100 books with her (back in the 1990s, before Kindles) to read to her children. One sign of crew stress shows up in how they sleep. 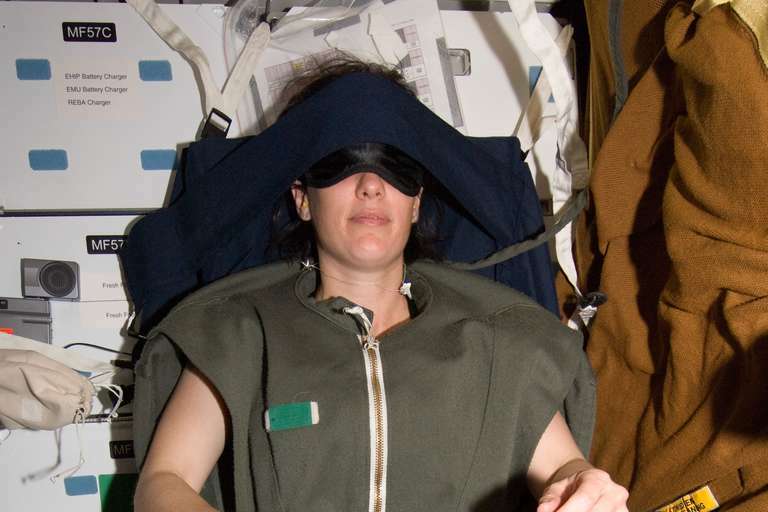 One research study cited in the podcast showed that in a sample size of 21 people, crews on the space station aren’t sleeping well roughly 29% of the time. (To put that in time perspective, that’s roughly two months out of a six-month mission.) NASA is still trying to figure out how to help astronauts adapt to isolation and a strange environment. Say there’s a huge emergency on the way to Mars — maybe an Apollo 13-style explosion that cripples one of the spacecraft. In such a situation, astronauts may only have a few seconds or minutes to react in order to save their lives. The instinct of all crews today is to call home for more help, because NASA’s Mission Control is filled with experts on human health and spacecraft operations. But on the way to Mars, calling Earth — and waiting for a response — could take 40 minutes. “Instead of getting a panic call to the ground, asking immediately to talk to the surgeon, what we may get is a report saying, ‘Crew member so and so was clutching their abdomen in very bad pain. We pulled out the ultrasound, we found a stone. We think it’s passing. We’ve given pain meds, and they’re resting comfortably,” he explains. The best way NASA can think of to manage problems is to have as much expertise on the crew as possible. One of the ways that they manage risk is to say that every planetary mission must include a physician-level crew member on board. Another way is to look at the history of space exploration, as well as similarly remote environments such as submarines and Antarctica, to see which human health problems come up the most. A surprise one was urinary tract infections, which affect men in space far more often than on Earth. 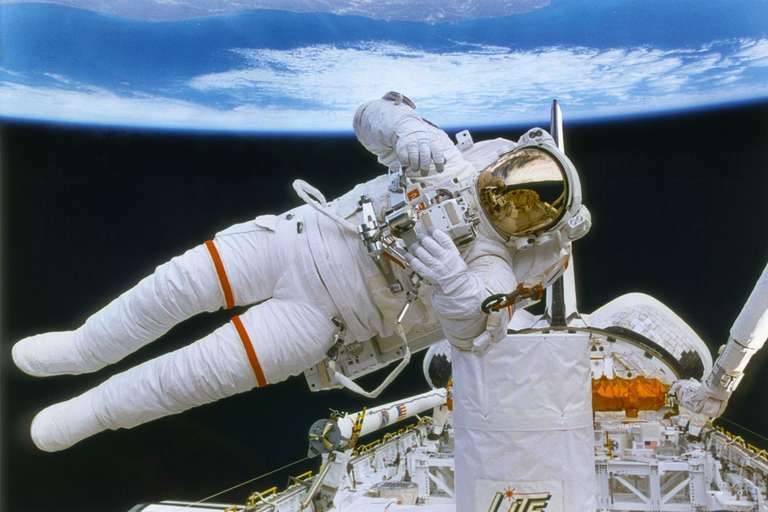 So NASA is building up its database to try to keep its astronauts safe. The podcast focused more on medical issues than engineering issues, although one can assume NASA is of course working on ways to make its spaceflight as safe as possible from an engineering perspective, too. The agency is already implementing new virtual reality systems on the International Space Station to have astronauts learn procedures for fixing things that break down, for example. These systems will also be useful on the way to Mars. On the ISS, astronauts constantly “fall” around the Earth as they orbit, so they don’t feel the effects of gravity. While floating around for six months or a year in space sounds like a lot of fun, there’s a serious side effect; once you get back to Earth, you’re basically a cripple. 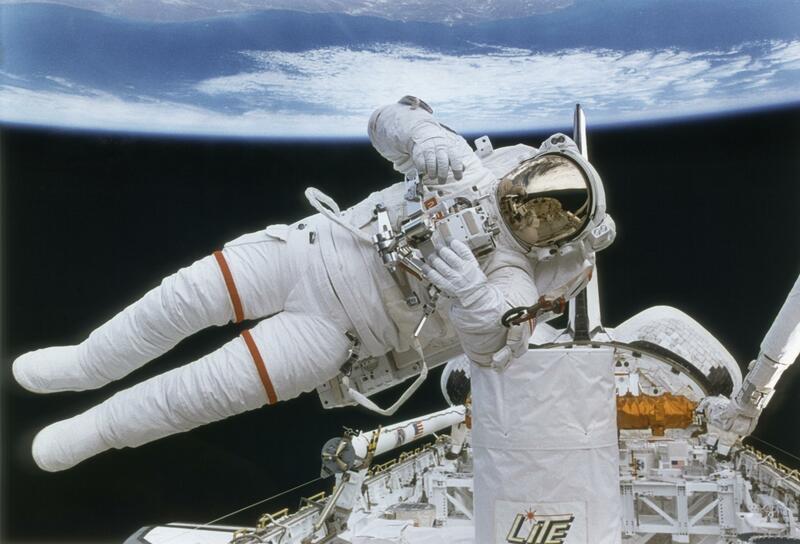 At worst, an astronaut walking out of their spacecraft for the first time could slip and break a bone the moment they get back to Earth, because their bones and muscles have weakened over time. NASA has made a lot of strides in this regard. It mandates that its astronauts spend about 90 minutes per day exercising in space, using a resistance machine as well as either a treadmill or an exercise bike. Although astronauts are oversubscribed with things to do in space, that exercise time is sacred — everyone makes sure the astronauts are not pressured to abandon their time exercising to complete some experiment. The doctors say that this time sweating it out is extremely important. 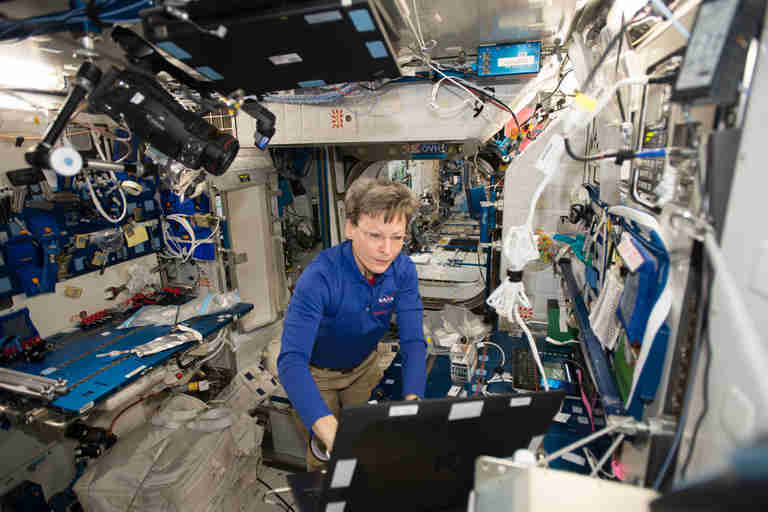 The doctors also look closely at studies of crews working in isolated, confined environments such as Antarctica to get more ideas about how to improve human immune systems in space. Doctors have been looking at circadian disruptions for years using the saliva of crews that are staying over winter. 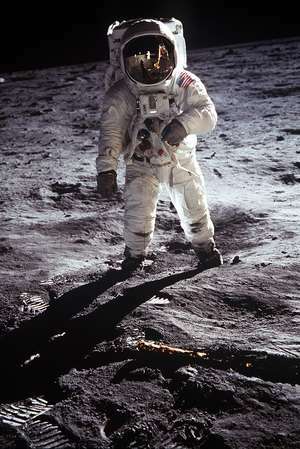 In more recent years, as technology improved, they’ve been having the crews analyze their samples on site to deliver the science more quickly. Doctors are still characterizing exactly how circadian problems affect Antarctic explorers, but the hope is in future years they’ll be able to implement countermeasures to help both the crews on Earth and the crews in space.